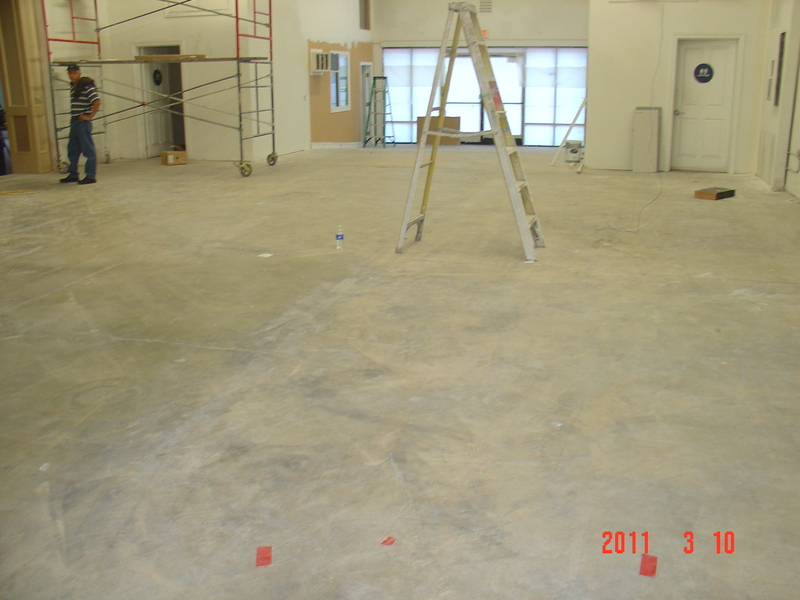 Utilizing Hi-tech grinding and polishing equipment, CleanForce Concrete transforms new or existing concrete surfaces into a durable, high performance, highly reflective flooring surface that’s guaranteed to last for decades. 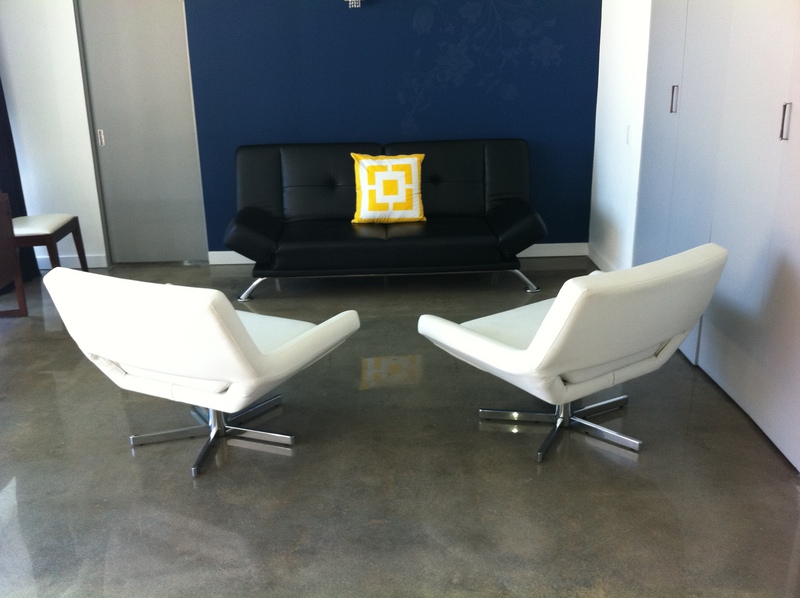 CleanForce Concrete and Stone will permanently transform your concrete into a flooring surface that is stunningly beautiful that easily outperforms all other available flooring systems both in durability and affordability. 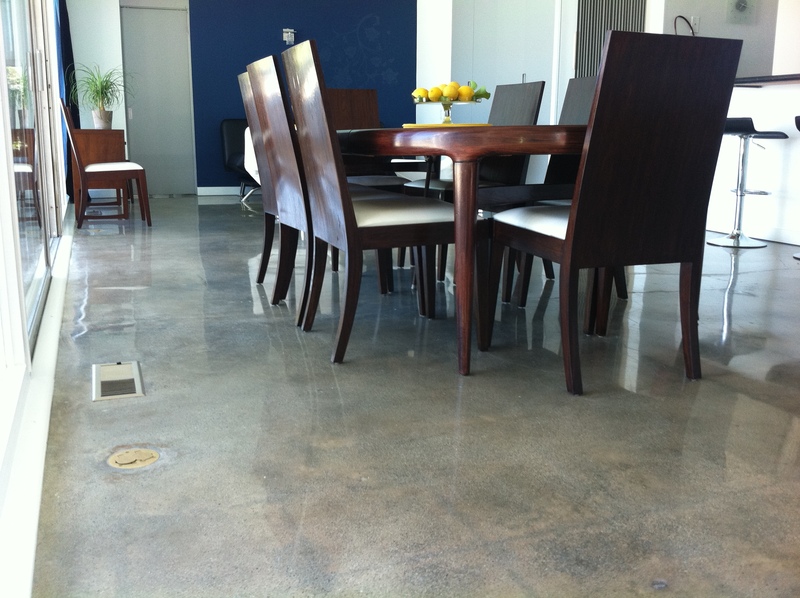 Polished concrete is extremely scratch resistant, repels tire marks, resists most contaminates, will not chip or peel, is virtually maintenance free and meets all slip resistant codes even when wet! 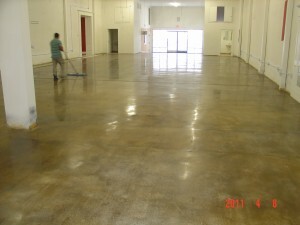 Our teams are trained veteran polishers and experts in removing any existing embedded coatings, glue, paint, epoxy or any other stubborn coatings or blemishes on your concrete surfaces. In concert with our polishing services we also provide hot power washing, heavy duty debris hauling, stone polishing & sealing, post construction cleanup and many other support services in the overall assistance of your project. 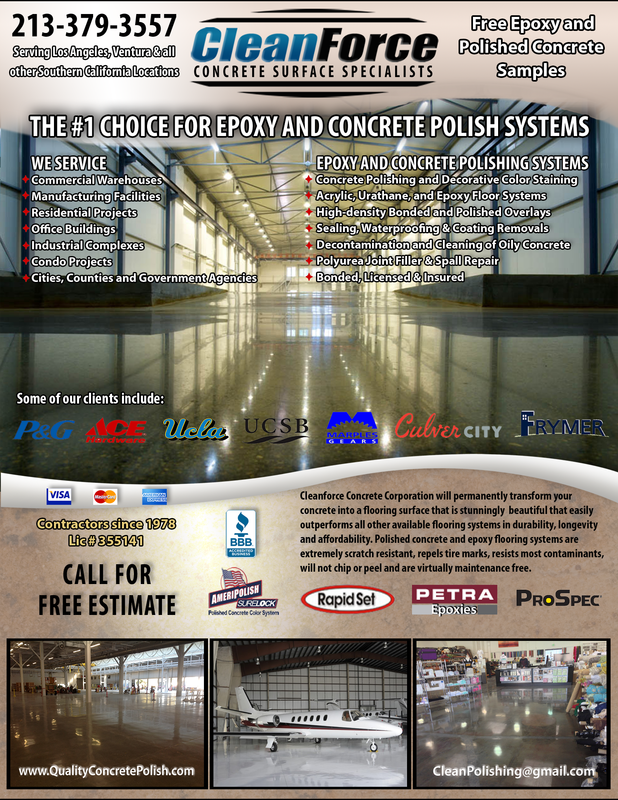 Concrete polishing is an ideal solution for interior slabs in custom homes, garages, basements, porches, warehouses, dealerships, manufacturing facilities, restaurants, retail settings, schools, airplane hangars, showrooms, office lobbies and shopping malls. 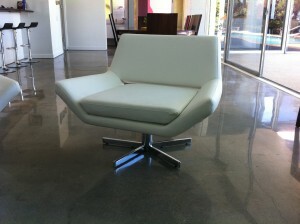 ASK ABOUT OUR ALL GREEN LOW V.O.C. COME VISIT ONE OUR PROJECTS – CALL FOR APPOINTMENT! 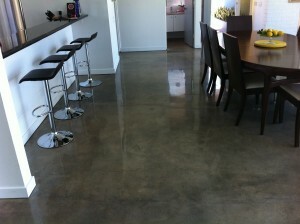 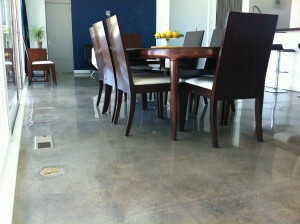 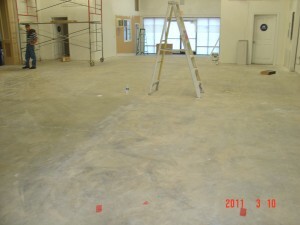 Give us a call for your next concrete surface project!